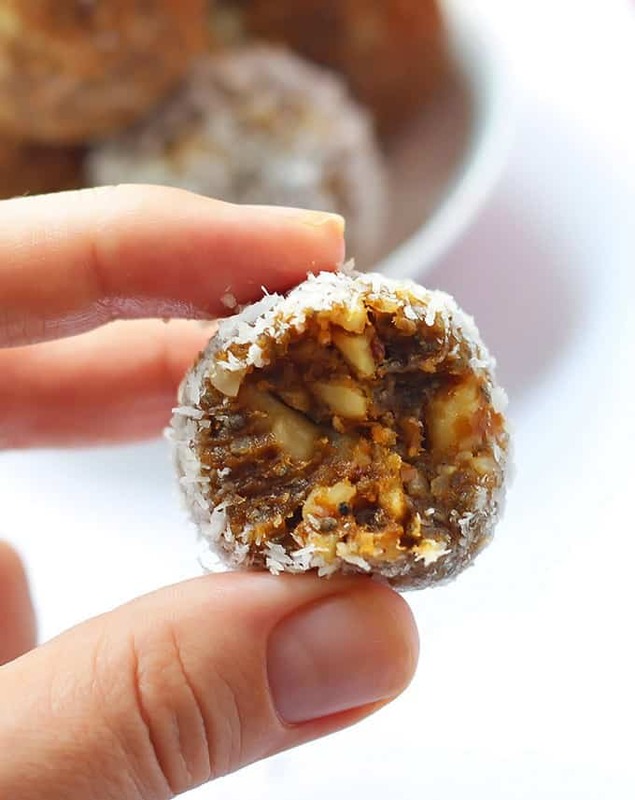 Pumpkin Pie Energy Bites – These little energy bites are perfect little snacks – pre or post workouts or when sweet cravings hits. 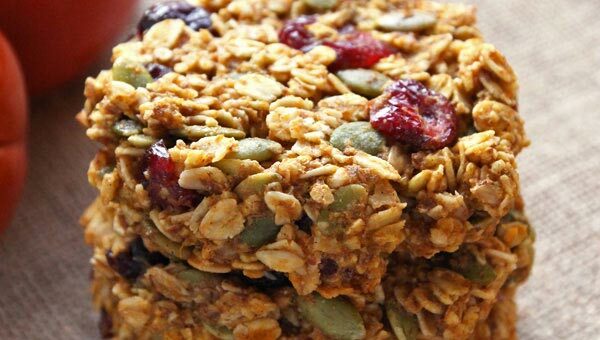 They are no-bake, gluten free, vegan & paleo friendly and taste deliciously like Fall. 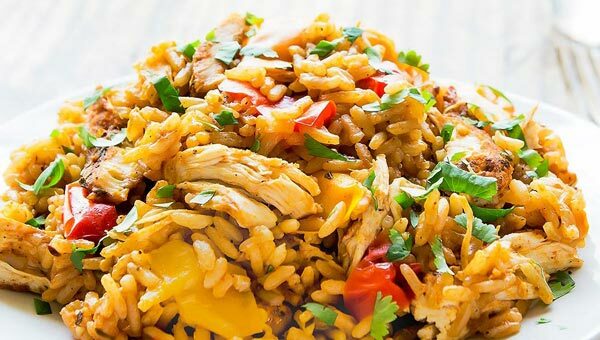 We are currently on vacation in Cambodia, but as promised, I scheduled some of my most popular recipes from my collaboration with eBay to share with you while we are gone. If you’ve been following Leelalicious for a while, you know how much I like to make healthier desserts and treats. Until recently that was mainly for myself and for you, my fellow healthy treat lovers. Konrad, my husband doesn’t have much of a sweet tooth (anymore) and I didn’t really give Olivia many sweet, dessert-like foods. But now my baby is turning into an independent toddler (waahh…too fast!) who keenly observes everything I eat and will often demand her share of it. So if I wasn’t already inclined to watch what I eat and eat healthy, real food – now I have an even bigger motivator. 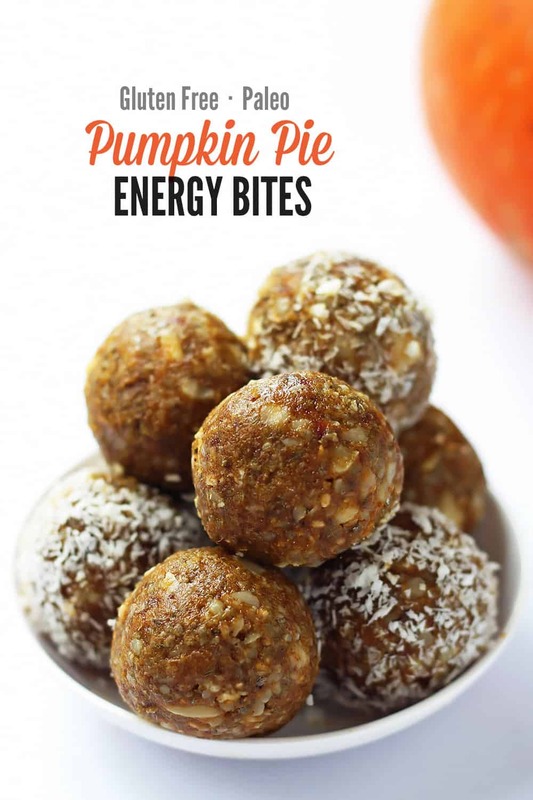 Having healthy little snacks like these Pumpkin Pie Energy Bites handy for me and Olivia, is crucial when those snack cravings hit. My little munchkin loved these and I love giving her snacks that I know are made of only wholesome ingredients! 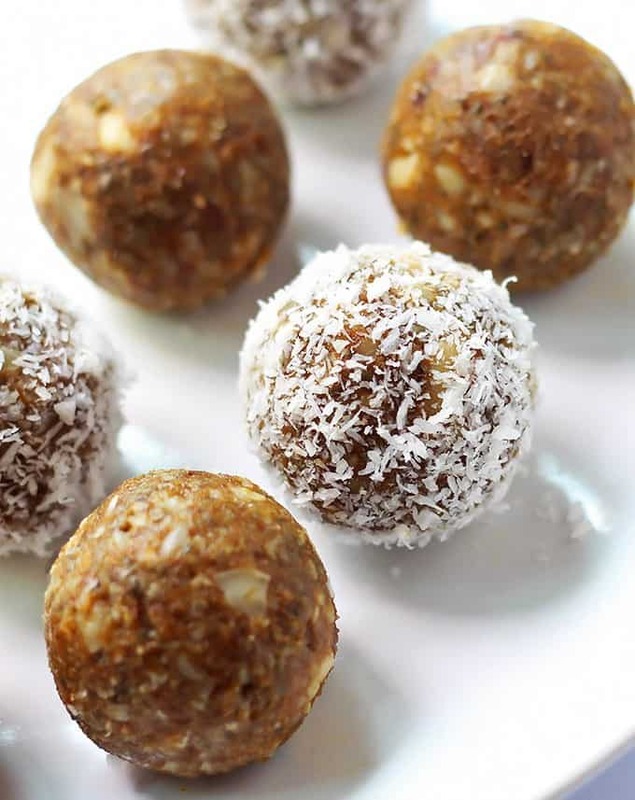 These little energy bites are perfect little snacks - pre or post workouts or when the sweet craving hits. 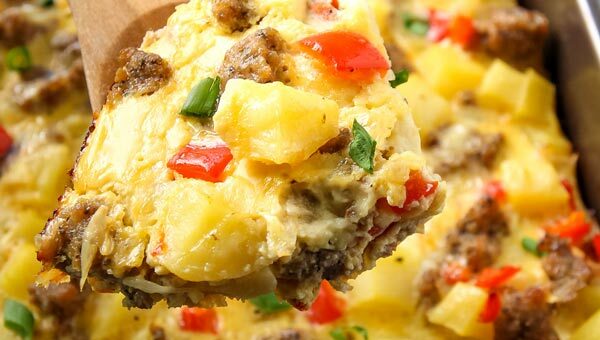 They are no-bake, gluten free, vegan & paleo friendly and taste deliciously like fall. Soak the dates in water for 10 minutes to soften. 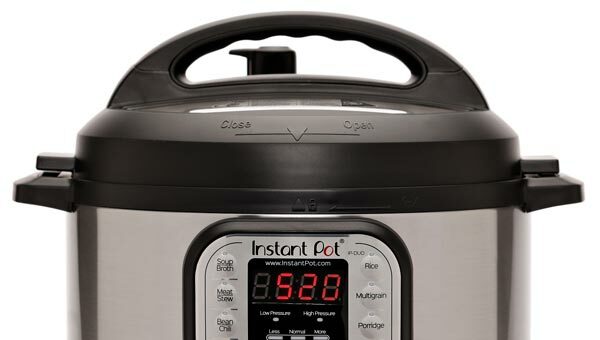 Drain and add to a food processor. Add pumpkin puree, pumpkin pie spice, vanilla, + salt and process until smooth. Add cashew nuts and chia seeds and pulse a few times. The nuts should be coarsely chopped. Refrigerate mixture for 30 minutes before forming into 16 bites. 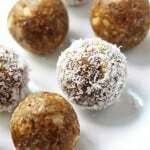 Optionally, roll each energy bite in desiccated coconut. I haven’t tried anything but pumpkin, but maybe with apple sauce an apple pie version could be made? In that case I would use apple pie spices as well. Cardamom especially pairs so well with apples.